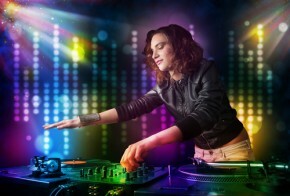 Music is one of the most influential thing in our society, especially among the younger generation. Today is a day of the party culture. The most popular songs tell stories about wild nights with drinking and drugs as casually as if they were talking about what they had for dinner on the previous night. With such a push toward partying and living life without worries or cares, there is understandably a concern about the future of music and what today’s artists might be doing to influence people to use drugs. Cocaine, while one of the least popular of the illicit drugs in today’s world, is probably one of the most mentioned drugs in music (besides alcohol). Musicians created songs while under the influence of cocaine – and people liked it! In fact, for some musicians like Eric Clapton, who admitted he hates listening to his old records because he did them either high or stoned, fans have turned away from their music when they finally become clean, believing that it is worse than anything they created on drugs. Eminem is a modern day example. His top selling album The Eminem Show is his most popular. He has come out with others, but he was on drugs during the recording of that album. Fans argue it was his best. The pressure to create something unique, emotional, and real has pushed some musicians to “free their minds” with the help of drugs. This is more the case with non-classical genres than classical. Music and drugs are most often classified together. With the help of social and mass media, fans are given the inside scoop on how a musician (or actor or other public figure) struggled with drugs until they finally fell victim to the addiction. Is Phillip Seymour Hoffman any clue? The correlation is so defined in media that many musicians believe that there is more likely a drug problem with their peers (fellow musicians). In a survey conducted by the University of North Texas involving over three thousand musicians, one in three felt there was a widespread drug problem among the creative art of making music. Thirty-three percent! Younger and male musicians were more likely to respond that there was, whereas older musicians and females were more likely to say they did not know. Comparatively, twenty percent of the classical musicians stated there was a widespread abuse problem, but forty percent of non-classical musicians believed there was. This is possibly due to the kind of music. Classical music is more likely to involve instrumentals. Non-classical, like pop, are more lyrically driven. Bales of Cocaine – The Reverend Horton Heat: In this some, the artist talks about a farmer working out on his farm when two airplanes dropped bales of a white substance on them. The farmer picks up the bales and takes them to his brother, who tells the farmer it is cocaine. The farmer then travels to Dallas, sells the cocaine, and ditches his old farm to buy one in Peru. That Smell – Lynyrd Skynyrd: The song features a mention of cocaine being involved in the band’s over-consumption death. While music and drugs are often portrayed to be hand in hand, the mention of them in songs is doing much more harm than good. Many young people, aspiring to be rock-stars, think this is the way to live the high life. The truth is that drugs stomp creativity to such a degree that all that ends up mattering to a talented artist is ‘more drugs.’ Such thinking is detrimental to the future of music. Where are we going?